Burns Dandelion is a delicious dried plant that is full of natural fibre, excellent for the support of digestive function. 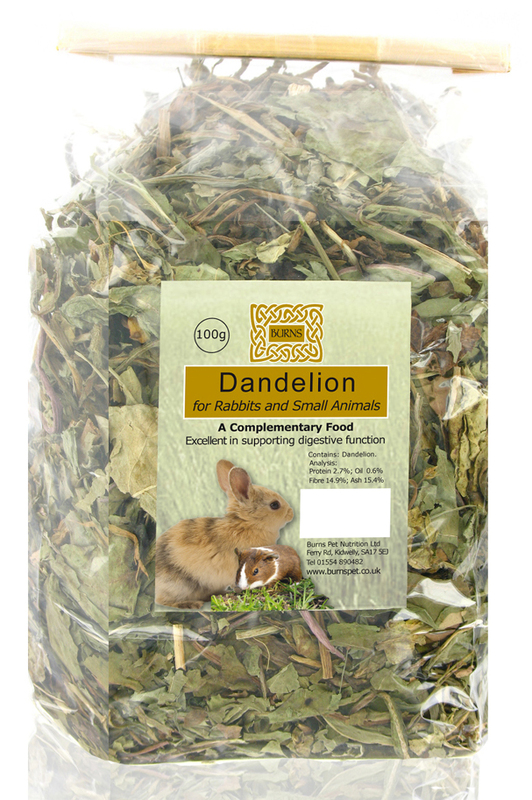 Dandelion can also support urinary tract health and can be fed as part of a healthy diet for rabbits and other small animals. There are currently no questions for Burns Dandelion for Small Animals - be the first to ask one!